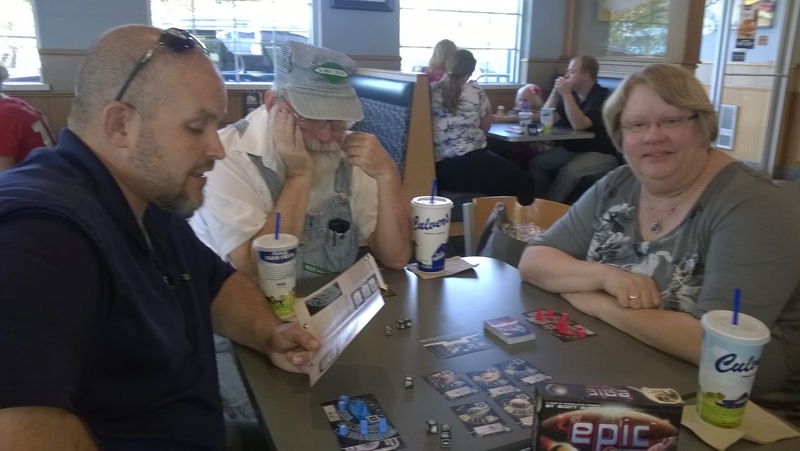 Recently, my friend Wendy busted out her Tiny Epic Galaxies (2015) game and we tried it out at Culver's. 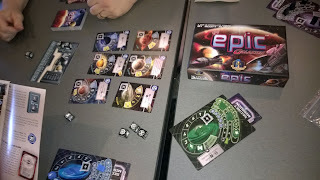 It came with Tiny Epic Galaxies: Satellites & Super Weapons Mini Expansion (2015) but we stuck with the base game for the time being. It was plenty enough. 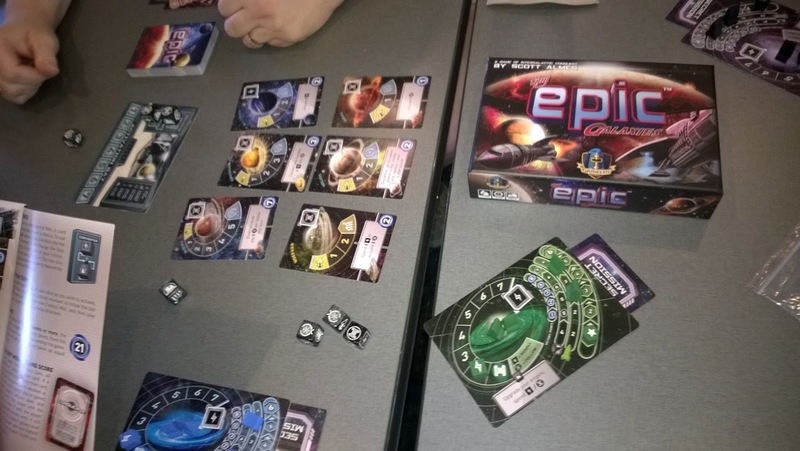 There's a lot to learn for a game that fits easily into such a small box but it's all well-worth learning. We had a lot of fun and even played it again at a subsequent gameday. 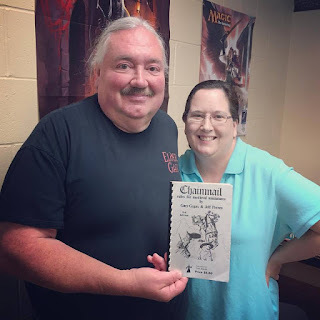 Although it took us much longer to play the game than the box indicates, I do think we could come close to such game times once we've played a handful of sessions. There is a lot to keep in mind and players are playing on each other's turns, with "Follow" moves if you are prepared with enough Culture resources. 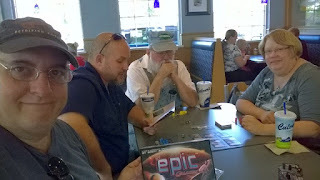 It's one of the best features of this game, that players are engaged at all times and rarely waiting for a turn of their own, unless they've done so well that they accomplish their goals on their own turn and right afterward. Still, being in good shape is hardly something to complain about. Love this little game!